Graphic designer and guild member Mary Ingels has done a superb job in designing and arranging the calendar, using artwork contribu ted by NAG artists Laverne Bohlin, Carol Carls, Connie Devendorf, Linn Eldred, Evelyn Grala, Mary Ingels, Karen Johnson, Fran Kelly, Charlotte Doyle Leavitt, Rhonda Nass, Nancy Thyfault, Kathleen Tomasek, Susan Vogel, and Arlene Widrevitz. 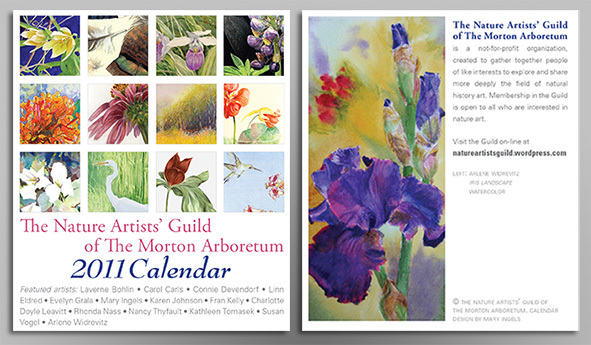 All proceeds support the Nature Artists’ Guild. 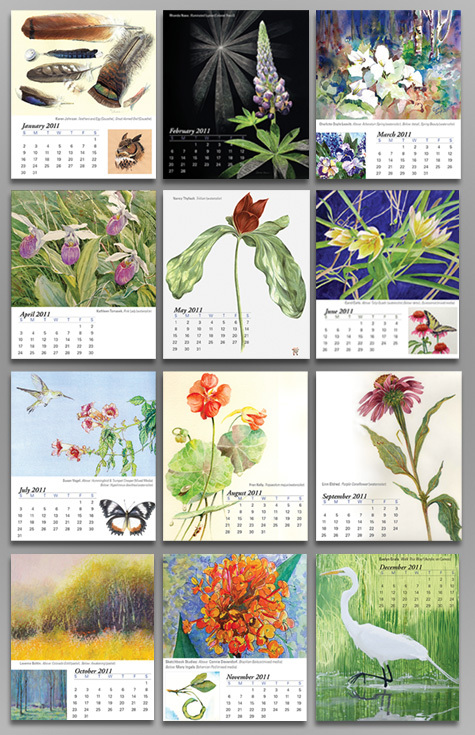 The calendar size is about 4.75″ wide by about 5.75″ tall, so they don’t take up a lot of room, and would fit nicely on a desk or windowsill. 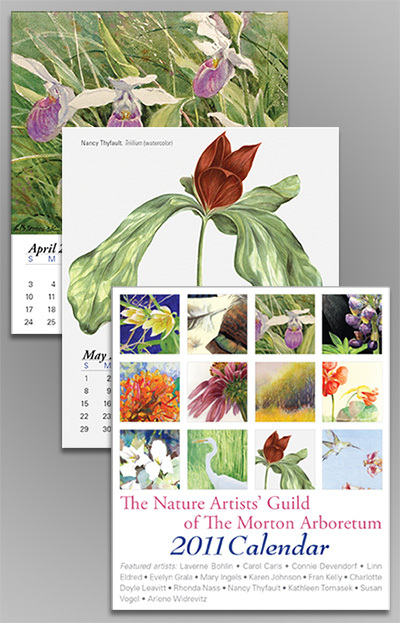 What a great way to be inspired by your fellow Nature Artists’ Guild members all year long!